Present state: Demolished - the Newport Bypass now follows the course of the railway through the site of Pan Lane Station. Notes: Newport Pan Lane Station opened in on 11th August 1875 as the northern terminus of the Newport Junction Railway. It was opened without Board of Trade approval and was ordered to close again eventually reopening with authority on 6th October 1875. 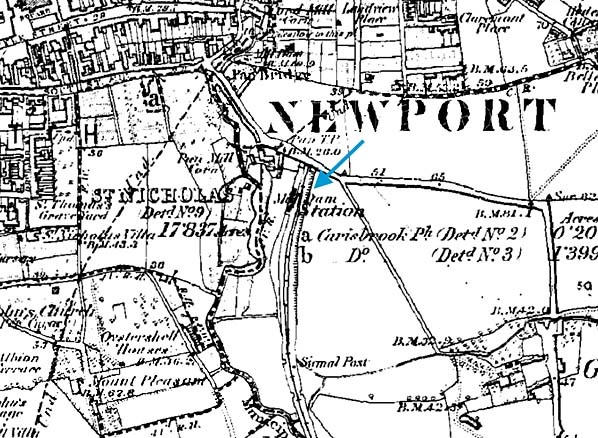 The station was only a temporary terminus and was closed on 1st June 1879 when the line was extended northwards to join the Ryde and Newport Railway at Newport Station. 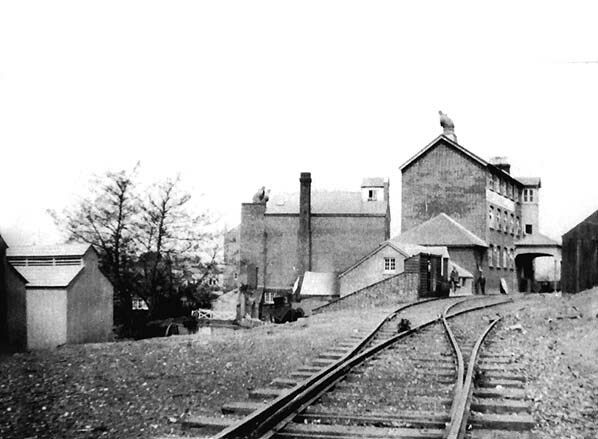 A private siding served the adjacent Pan Mill but this was taken out of use in the 1930s. Initial restoration took place at Newport Station and following the formation of the Isle of Wight Steam Railway in 1971 these were moved to Havenstreet in January of that year. Havenstreet became the headquarters of the railway. Gradually a five mile section of track between Smallbrook Junction and Wootton was purchased and restored with a new station being built at Wootton (on the opposite side of the road); this opened in 1987. On 21.7.1991 the line was reopened westwards to Ashey and on to a new terminus at Smallbrook Junction where new interchange facilities are now available with the electrified Island Line. The site of Newport Pan Lane Station. 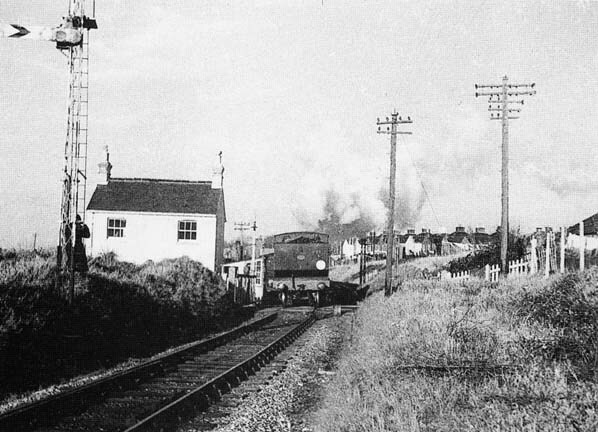 This later became Pan Lane crossing when the line was extended northwards into the Ryde & Newport Railway station. 1910 1:2500 OS map shows the line is now extened. No evidence of the station remained but a siding has been laid into the adjacent Pan Mill. Pan Mill siding was taken out of use in the 1930s.